Some time ago I realised that despite having created a section entitled, Karate in the 3rd Age, I had not written anything about the subject. So this is the first in a series which covers some of the challenges and benefits of taking up a martial art later in life. I live and work in Spain where martial arts and sporting activities are popular. It is normal for young people to engage in some kind of sports, but a little less for those of a certain age. How do I know this? Simply because in a class of around fifty students, there is usually only a handful of older people in attendance. By that, I mean people over the age of 50. Karate is so beneficial to mind, body and spirit, I am sometimes at a loss as to why there are not more. This brings me to the first recommendation I have for older people thinking of taking up a martial art. You are going to need to change the chip. If you don’t, you will end up quitting, and nobody wants to be a quitter. Why is it important to change your mindset? Simply because the old way of doing things is not going to cut it if you want to bring about real change in your life. Many men (and some women) get to a certain age, usually post 40 and suddenly realise that they are not as young as they once were. In a bid to slow down the ageing process, they take up vigorous activities such as squash or tennis. Their goals, noble as they may be, are frequently doomed to failure and here is why. It is at this point that veterans having acquired an interest in sport meet their first hurdle and develop minor injuries, a back problem or a pulled muscle of some sort. In many cases they give up, having confirmed that they were indeed not as young and fit as they once were. However, this is a ridiculous way of thinking. These injuries happen because in their mind they have the body of a much younger person. They act as if they were twenty-five years younger but lack the physical conditioning to do so. Not because at their age it is impossible, far from it. Many older people that go out walking are fitter than those teenagers, mired in the virtual world of sedentary video gaming. In short, you need to ease into a new physical activity by learning it in small steps. This is why Karate is such a great activity for older people. Everything in Karate is done in small stages. Here is a question. How do you develop new and healthy habits after a lifetime of bad ones? You do the same as when you floss your teeth. Start small, start with one tooth at a time. The next day two and the day after that three until you can floss easily without having to think about it. Now contrast that with the person who has reached a certain time in their life. They join a gym. That is a good step, but often this can be followed by a huge mistake. They get stuck into some vigorous activity and when the body can take no more aches and pains or after a minor injury, they give up. It would have been better if they had just stayed at home and watched TV. At least that way, they wouldn’t have got injured and would still be able to do their regular job relatively free of pain. The first step in karate if you are a little older, is to make certain that you join an appropriate group. It is great that you will be training with much younger people, but your initial sessions should have some gearing for older adults. Secondly, you should make certain that the style of martial art that you are planning to learn is suitable. By that, I mean a style such as Washinkai or Shotokan which covers a wide range of elements found in karate. I should mention that Tai Chi and Win Chung are also fantastic martial arts to learn at any age. You need an instructor who is used to working with all ages, not just super fit children and teenagers. In the Dojo, I attend there are many mixed age group classes. Senior grades will take you through the techniques, but before you go any further, you need to do one more thing. You need to rid your mind of self-limiting beliefs. By that I mean don’t go around saying “I will never be able to do that!” It is perfectly possible that there are a few things a 16-year-old can do that may be beyond the initial scope of someone in their 60’s. However, rather than concentrate on what you think you can’t do, take a closer look at what you can. Start to see yourself in a new and more positive way. For me, this began when I put my first Gi on. The white karate suit we all wear in the Dojo and place we train. You start off by wearing a white belt. It represents your willingness to learn something new. Over time you will take an examination and be promoted to your first belt. This shows to other students and instructors you have learnt something and can demonstrate it. I remember my first karate exams. I can’t say that I enjoyed the experience. I had self-limiting beliefs. I could never be a Black Belt. At the age of 57, I was promoted to 1st Dan Black Belt. There is no point in pretending it was easy. Far from it, but when I first started, I didn’t believe it would be possible and as long as that mindset continued, it remained out of reach. Then one day I suddenly understood something that changed my thinking. It was always there, even in the first class. I was able to reach out and change the chip and the way I saw myself. I am not going to say too much more at this point. If you get yourself down to a Dojo or attend a martial arts class, you will have already taken a big step in transforming your life. In the next article, I am going to write about how Karate can change your life in the outside world. If you are already a Karate Ka here is a question. 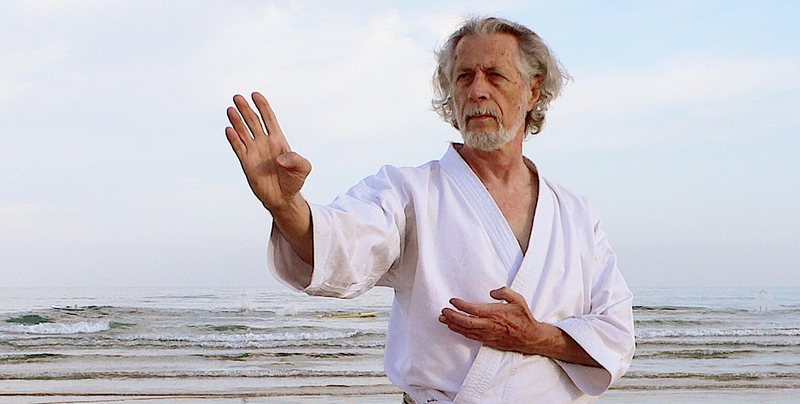 When is it OK to use Karate outside of the Dojo? If your answer was never, you have missed an important lesson. If your answer was “Only in self-defence and to help others.” You will have taken note of the words on your Dan Certificate. It is a good answer, but there is more. You have probably already guessed that it was a loaded question. Karate is a Budo. It is not just a fighting system or self-defense methodology. It is a way of living your life in a more positive and productive way. A Black Belt is not a Black Belt just because they passed an exam. They became a Black Belt through their training and mindset. Here is the real point and I hope the subject of the next article. You can use what you learned in the Dojo to achieve all sorts of seemingly unattainable goals. This has been well researched and there is a good deal of scientific evidence to back up the figures. It is also born out by our own experience. Nearly every one of our Karate Schools senior grades has gone on to become a high achiever in areas outside of Karate. In the next article, I will share with you what I know of the processes that help bring this about.